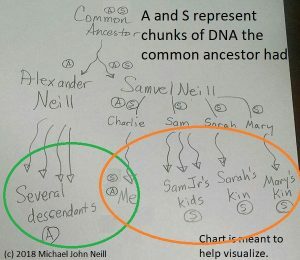 This may be old news, but it was new to me. 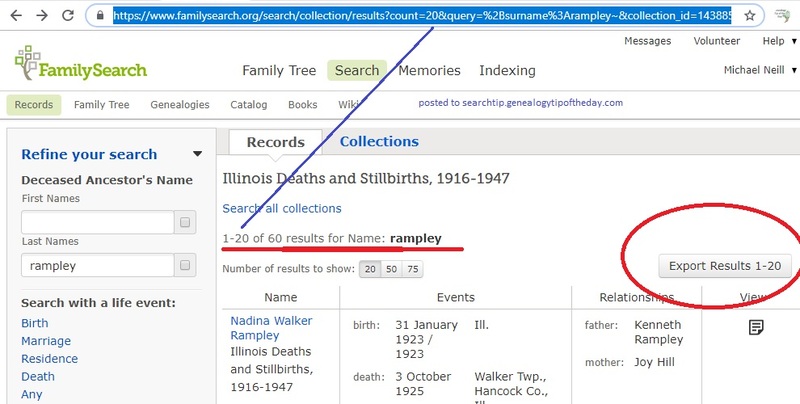 There were sixty results from for the surname of Rampley from the “Illinois Deaths and Stillbirths, 1916-1947” on FamilySearch. The “Export Results” button creates a spreadsheet of the results that are on the screen. 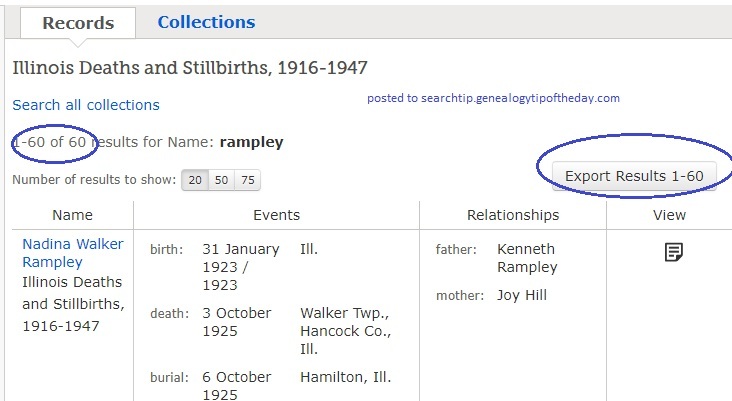 FamilySearch has buttons that allow you to view up to 75 results, but you can view more. I decided to play around with the URL and see if I could view more results. Fortunately there is a workaround. All that needs to be done is a little modification of the URL on the results page. I had already completed the search, so I knew how many results there were in this case: 60. Now I had all sixty results on one screen and I could export all sixty results. Of course, I would have seen them all if I had hit the “75” button on the number of results to show. I really hadn’t done anything spectacular, but I wanted to make certain how it worked. The spreadsheet includes my search terms and the “collection ID.” This lets me know what I searched. Next time, I’ll copy and paste the database title and URL into the first two cells of the spreadsheet so that I have it for ready reference. Now I can go through the results at my leisure and take notes and include those notes in this database. It can serve as my research log. After some experimentation, it appears that you can set the number of search results to display to 500. The download limit appears to be 100.